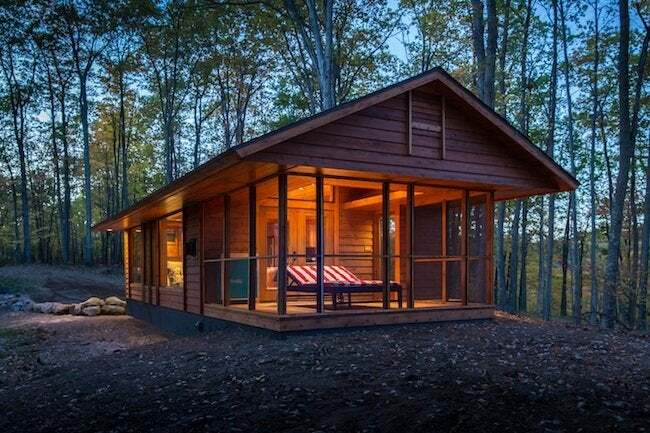 See how a 400-square-foot cabin—designed on a human scale and with style to spare—can be spacious, inexpensive, and even movable. 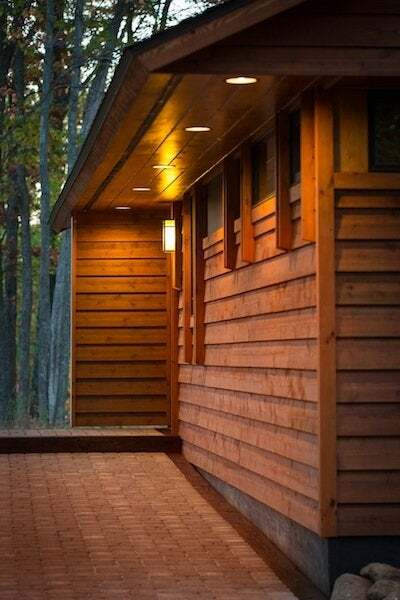 Meticulous is the word that comes immediately to mind when you first see ESCAPE, the cabin-on-wheels designed by SALA Architects in conjunction with Dan Dobrowolski, owner of the luxurious Canoe Bay resort in Chetek, Wisconsin. The tiny 400-square-foot structure, informed and inspired by the Prairie style, is the culmination of more than two thoughtful decades during which Dobrowolski oversaw the building or renovation of 17 structures at the resort, including a lodge, a restaurant, and a collection of gem-like cottages. Canoe Bay was at first an ambitious, learn-by-doing enterprise for the network meteorologist turned hotelier. Over time, the resort’s architecture matured into a sophisticated, cohesive aesthetic that is reflected in the design of ESCAPE. Showing savvy design instinct in his vision for Canoe Bay, Dobrowolski recruited Wright protégé John Rattenbury, a cofounder of Taliesin Architects in Arizona. He then brought in Kelly Davis from SALA Architects in Stillwater, Wisconsin. Their designs paid off in spades, as the evolving architectural language they’ve articulated is immensely popular today. 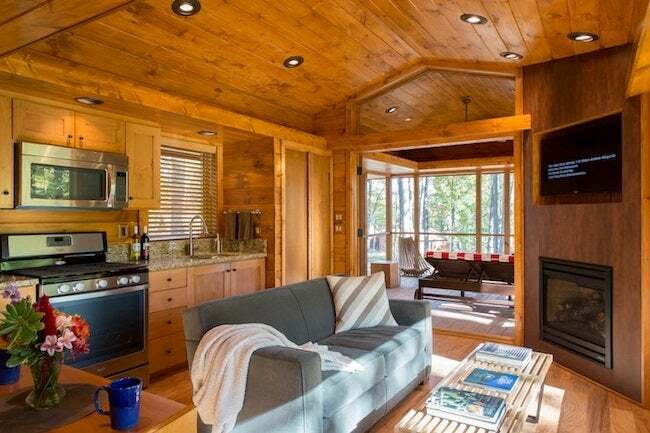 Five thousand people pass through Canoe Bay every year, pausing to stay in Dobrowolski’s carefully crafted cottages, to enjoy the outdoor life on three lakes tucked into 300 acres, and to commune with eagles, otters, and bears out in the middle of nowhere. And now they also come to admire the ESCAPE. 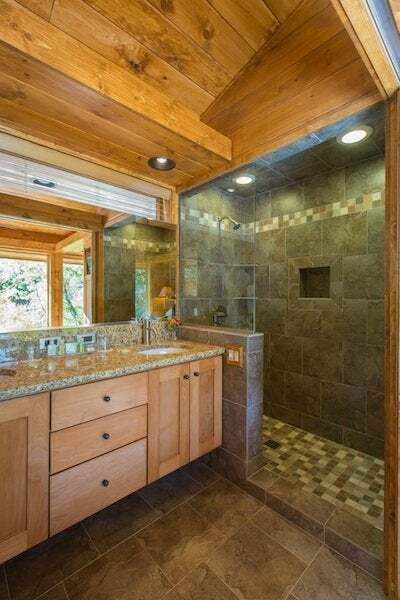 Although the little home takes its cues from the standard park model recreational vehicle (RV), it doesn’t suffer from the standard claustrophobic interiors, usually the result of attempting to cram in every possible luxury, appliance, and gadget known to mankind. A park model RV—taxed as personal property rather than real estate—is restricted by law to a size of just 400 square feet of enclosed space, excluding a porch or deck. So the designers and builders had to adapt. “We decided to see if we could make our architecture fit that size,” he says. ESCAPE can be financed as you would a car or RV, rather than with a mortgage. The monthly payments, he says, are less than the rent for a one-bedroom apartment. Better yet—and unlike an apartment—the ESCAPE can be moved if need be. Dobrowolski says he’s been surprised by the “tsunami” of demand for the little building since its debut late last year, but he believes he’s hit a nerve. So far, he’s received commitments for more than 100 units, a number of them destined for large campgrounds and resorts out West. If only, he says with perfect hindsight, he’d thought of it 20 years ago. J. Michael Welton writes about architecture, art, and design for national and international publications. He also edits and publishes a digital design magazine at www.architectsandartisans.com.